The mechanism of judgment is a big part of being human. You may not realize it, but a lot of the decisions you make are judgments. You judge each other. You judge situations in your life. You can even say choosing what food to eat is a judgment of sorts. Judgment is the weighing of possibilities based on the current understanding of a situation and acting upon that information. Justice is the action that follows that decision. Judgment and Justice are often linked together. Especially in the case of this nonphysical location. 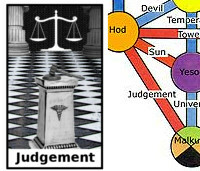 The Pillars of Light & Dark are located between the Sephira Malkuth and Hod, at the "Judgement" Tarot Card location. Technically the Pillars of Light & Dark are part of Malkuth, even though they are located on the crossway. As such, this place is one of the easier places to reach using your favorite nonphysical travel method. The Pillars of Light and Dark are about spiritual judgment and justice. Spiritually, these have little to do with their physical counterparts. Spiritual justice is often tied to karma and your ability to transmute your own karmic limitations. 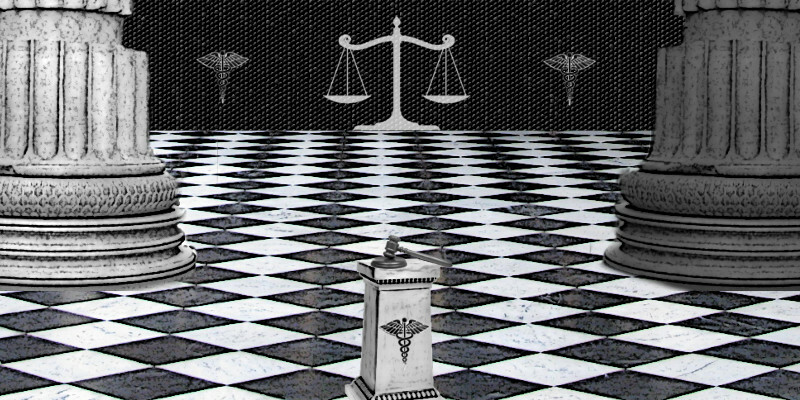 Here you experience your own judgment with you, yourself, being the judge and jury. Here you will be able to examine yourself and decided whether or not you are worthy in some situation in your life, and, if you deem yourself worthy, will allow yourself a positive judgment on the matter. If you deem yourself and your actions unworthy, the only one that will punish you here is yourself. When it comes to self punishment, let’s just say there is no shortage of people being unable to self persecute themselves. In fact, people judge themselves much too harshly in general. Here, in this place, you can get a real world look at some situation in your life and where you stand on it. Then all you have to do is decide your own fate on the matter. The main contacts inside the Courthouse are the Chamberlain and the Court Recorder. The Chamberlain can appear as a male or female in form. He/she may give you the quest you need to accomplish and or your gift. The Court Recorder will often dispense valuable knowledge that can help you with your personal journey. Another contact you may meet here is "The Seer." The Seer (aka Eye of Horus) is often seen as a eye. The Seer can help you to open up your inner sight. The quests here vary greatly. But the quest will have something to do with balancing your own karmic imbalance. You can actually transmute some of your karma here. Far too often you carry karma with you that has already been paid back. The quest here will help you to free yourself from some karma you no longer need in your life. Once you can forgive yourself, the karma is set free and you will gain a new energy and perspective on life. The primary one-time gift here is the energy of "discernment." You will be able to assess situations from a more balanced perspective. You will be able to understand and see the two sides of situations and see clearly what needs to be done to bring it into balance. You can also, if you choose, dispense the energy of justice in situations. However be warned that if your justice is skewed, you will incur a karmic reaction from wielding your energy to bring justice when it was not needed or in the wrong place. This is a power to use wisely and infrequently at best. The many secondary gifts here vary. The “gavel” is one that is common. If you get the gavel you can use it to dispense spiritual justice. Just be careful how you use it. You can also get the karmic healing staff. Healing is a necessary step in overcoming your karmic limitations. If you are given the “scales” you can use this tool to balance a situation in your life that needs balance. There are other gifts here that may be just for you, not mentioned here. 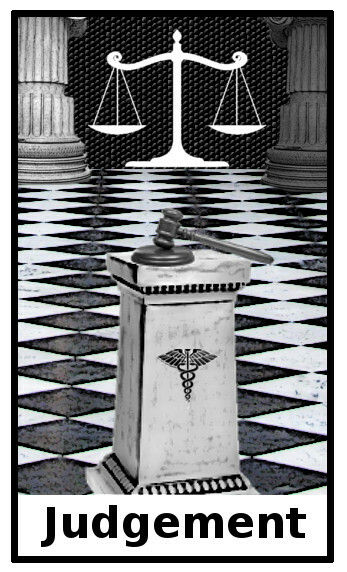 Gavel: use this to disperse spiritual justice. Karmic Healing Staff: use it to help heal your karmic burden. Scales: use this gift to balance some part of your life that is out of balance.